February 27 – 28th. & March 1st. (Fri., Sat. & Sunday) – West TN. Home, Lawn & Garden Show at the Jackson, Tn. Fairgrounds. Come see our BEAUTIFUL Displays and enjoy the early SPRING with us. MARCH 28th. – Carter’s Nursery Spring Festival & Customer Appreciation Day! Something for the whole family! Workshops & classes, a Petting Zoo & Pony Rides for the kids + GREAT FOOD for all! Come out and help us kick off SPRING! (Saturday 9am. till 2pm.) This is a FREE event! April 11th. (Saturday) We will be setting up at the Tipton Co. Master Gardeners Annual Lawn & Garden Expo. in Brighton, Tn. Come by and see our display. April 25th. – Learn ALL About Water Gardening! 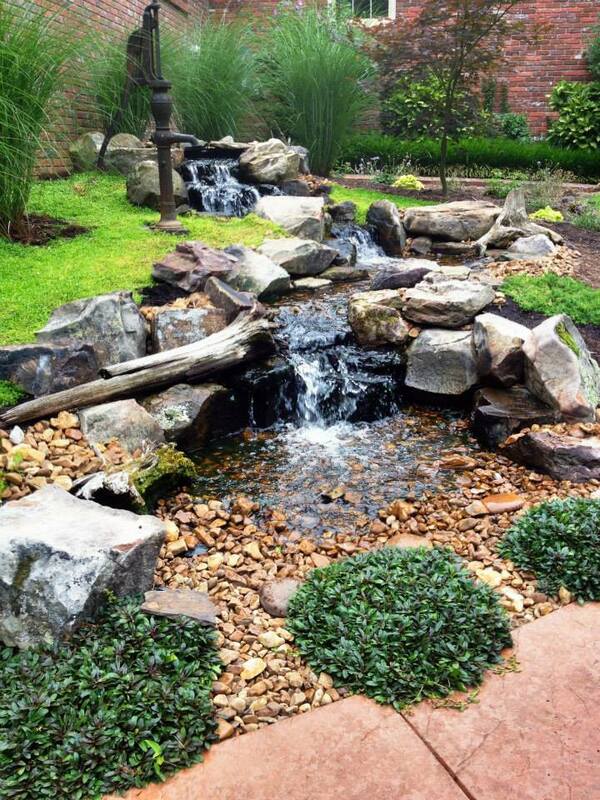 We will go over how to Design, prepare & build an ALL Natural, “Low Maintenance” Water Garden of your own! We will talk everything from Filters to Stone to Aquatic Plants & Fish!Get your hands dirty OR just watch and join the discussion and enjoy a morning in the garden. 9am. till lunch… Please call to Register. May 10th. – Mother’s Day! DON’T miss this one! May 16th. (Saturday) – Our Annual Spring POP Tour – Our ‘Spring’ Pond Tour. is the 1st. of the season! (Always the Sat. after Mother’s Day) – A FUN and Beautiful Day! This is a Self Guided Tour and this is a Fundraiser for the Jackson Humane Society. We have been doing this for 17 years and counting for our local Humane Society and we hope you will come out and join us! The tour starts at 9am.! Tickets are $10 ea. (kids under 12 are FREE!). 100% of ALL ticket sales & donations go to the Humane Society! Carters Nursery is “Pond Central” for the Pond Tour and we invite you to come by throughout the day to sit a spell, have a drink & something to eat and look at the BEAUTIFUL Gardens and Water Features. – The 1st. 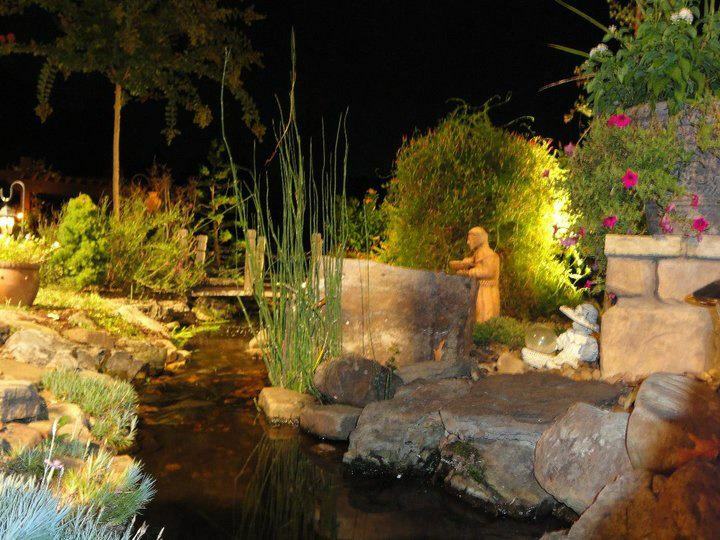 “Evening by the Pond” of the season will be hosted by Mark Carter & family at the Nursery Home on Thursday, May 14th. at 6:30pm. Address – 2846 Old Medina Rd. Jackson, Tn. 38305. June 6th. (Saturday) 9am. – 11am. – Butterfly Release: We will have some great guest speakers, information on creating your own butterfly garden & a LIVE BUTTERFLY RELEASE! Bring the kids AND bring a CAMERA! Don’t miss this one! 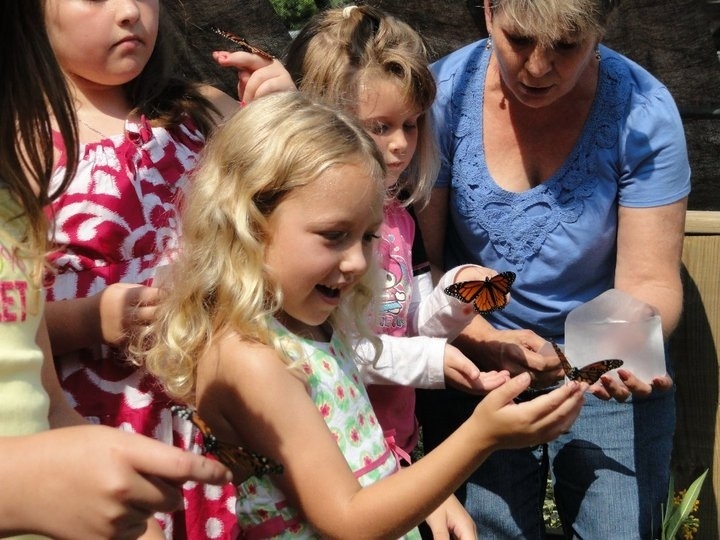 Call for more info and to get your name on the list for a Butterfly to Personally Release! #731-424-2206 – ask for Jo. June 21st. – Father’s Day! Let’s remember dad! June 27th. – 17th. Annual Summer POP Tour – Our ‘Summer’ Pond Tour (Always the Saturday after Father’s Day) is A FUN and Beautiful Day! This is a Self Guided Tour and this is a Fundraiser for the Jackson Humane Society. Tickets are $10 ea. (kids under 12 are FREE!). Carters Nursery is “Pond Central” for the Pond Tour and we invite you to come by throughout the day to sit a spell, have a drink & something to eat and look at the BEAUTIFUL Gardens and Water Features. July 4th. (Saturday) – Independence Day! We will be closed the 3rd., 4th. & 5th. in observance of the holiday! -August 1st. – 9am. 2pm. OPEN HOUSE! ‘Get Your Feet Wet with Water Gardening!’ This is our annual Summer OPEN HOUSE at Carter’s Nursery! Take part in our Classes, Tour our Gardens and Ponds & stay for lunch with the Mark Carter “Pond Guy” and crew for a great day of Fun and Learning. -September 12th. – Topic TBA. October 17th. – Fall Festival/Customer Appreciation Day. Come take part in our Workshops & Classes! FREE LUNCH for ALL that come! Petting Zoo & Pony Rides for the kids! BIG SALES for the Fall Season for all that come! Thanks, and I hope to see you all here! Call me with any questions at #731-424-2206. Here’s to a GREAT 2015! Happy New Year! WOW! 2015 is here already…. I know, “Time Flies”…. TRUE STATEMENT! I’m spending time with family and friends & enjoying every minute of it 🙂 AND reflecting on last year a bit… AND planning for this new year too. SO many things to be thankful for and so many people that have helped me and Carters Nursery grow & thrive! It’s almost overwhelming! So, THANKS for all you support and love!!! We are now entering our 26th year of business! That wouldn’t be possible without YOU! I am putting together this years EVENTS Calendar right now, so I will publish that in a few days. 2015 is going to be the BEST year yet! We are going to have fun Workshops, Pond Tours, Pond Building Classes, Luau’s and MUCH MORE! Stay tuned! Looking forward to seeing y’all “Around the Pond” in 2015.